Are you sick and tired of poor construction marketing results with your business? Because of this, you’re looking to take it to the next level with construction marketing that works? Maybe you simply need more time freedom from your business? Whatever the case, Redmond Growth wields the tools and resources to get you to your goals. At the very center of what we do in our construction marketing and our entire business, “we fix broken businesses and make good businesses great.” Any business that’s ever stayed the course with our work finds tangible growth and resources. If you just take a look at the 300+ reviews on Google from real business owners, friends and family, you will soon realize that we are no joke. That’s why you need to talk with clients like Proof Construction, who have seen it come to fruition. 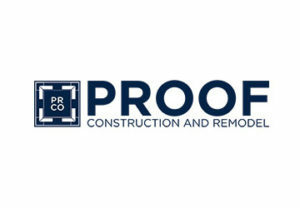 Proof Construction & Remodel resides out in Kansas City and their business needed a great, helpful hand to get to their goals. Like many business owners out there, he’s very skilled at his trade and wows his clients all the time. His struggle though involves the systems and processes that are utilized to start any successful business. Very few schools teached this topic adequately and it rarely deals with specific tools to tangibly implement strategies. So when he turned to Redmond Growth for support and contractor marketing services, he lit up like a Christmas tree and he took on the tasks at hand. The construction marketing we implement makes a significant difference in any business. This is usually one of the first things we attack with any business owner. If you dig into our case studies page at Redmond Growth, you will discover that this is the biggest win for many of our clients, like a struggling plumber who tripled his profits in the first year of coaching. With our construction marketing expertise, Google reviews impacts clients as one of the best ways to quickly expedite their growth. Do a quick Google search yourself about “the power of reviews” and you will find multiple articles saying the same thing, that reviews make a world of difference for businesses. The problem is that no business owners are willing to get insane about the topic. Gathering reviews, to most business owners, is a very passive goal. I can confidently tell you that we annoy the heck out of our clients on reviews. After the annoyance, they thank us due to the increased call volume and deals they close. The deals and leads are always great, but what about the tangible dollars you actually make with the business? Part of our obligation with our construction marketing tactics deals with ensuring that the work is worth the business owner’s while. Multiple clients come to us not even looking to generate more work, but to generate more profits from their business. Really, in most cases, it’s as simple as raise prices to afford at least a 20% profit margin on each job. Now you think, “I couldn’t possibly raise my prices! My customers would freak out!” While I will not dig deep into how to discover if and when to raise prices, I will instruct that if you can’t profit well from your work, it’s not worth the work. At some point, you just won’t care and you will raise prices. Turns out, if your work really is that awesome, your clients will not care either! Nailing down a sales system and the specific steps to close deals are often topics business owners never think about. Furthermore, very few small business owners ever document the specific steps to close a deal with ideal and likely buyers. Let me ask you this, to all the companies that runs operations with hundreds of employees or even just ten employees, how did they train all of them? They documented everything that the team needs to know prior to them coming on board. You cannot scale it unless you nail it and this is a PIVOTAL step to executing your sales system. Now you obviously have to stay on top of your responsibilities right? How in the world are you supposed to do that while keeping your business and the business in check? This is a common problem we run into with all of our business owners. The solution we provide to them includes training on how to probably manage your time. Most people really haven’t received any training on a topic like this. When are you supposed to say yes or no to doing things in the day? What are your key, revenue-producing activities that you must do every day or every week? We highly recommend that business owners take action to working on their business by spending an hour EVERY DAY planning and strategizing the mad chaos that is their business. No matter what construction marketing strategies we run, the topic of daily planning and schedule is super important. The most important way you’ll ever gain time freedom is by simply hiring top talent and quality people to the team. Through our best practice hiring system, we instruct our business owners on how to effectively survey hundreds of candidates every week and only spend a maximum of two hours every week. It’s very much like how we manage our construction marketing practices. Open up the floodgates to as many leads as possible and then select which jobs you would like to go for. Once you’ve stuck with us for the first few months, we will catapult you into the sensational placement of systems in your business to really see great results. That’s also assuming you’re a diligent doer that doesn’t merely hear the words we speak, but actually puts it into action. At this point, once the construction marketing and other strategies are implemented, it’s time to improve the business by 2%. And of course, watch the business skyrocket into orbit. Finally, the step to cement the penultimate goal for launching the business is delegating to top-performing staff members. You wanted to start this business by creating a fuel for wealth right? Well what you will find is that the financial wealth you build up at some point, creates diminishing returns…compared to the time you have left to live. So always look at your team members to see who can take the mantle in your organization and grant you a life you want to live. Are you reading this document, but struggling to grasp how these principles of construction marketing apply to your business? Our organization works with hundreds of clients over the years and we’ve built our own 14 multi-million dollar businesses. If anything, sign up today for a 13-point FREE business assessment so that you can at least taste what we’re talking about. Give us a call today at 918.361.3047 or fill out a form on our website. We are thrilled to get started with you!